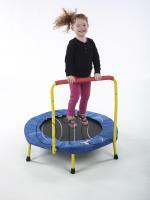 The 7.5ft Trampoline is a perfect trampoline for your first trampoline. 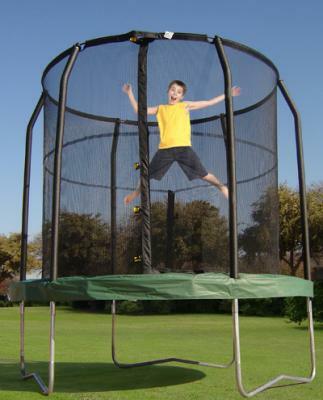 Easy to assemble frame and enclosure protect the jumper while inside the trampoline. 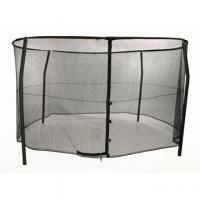 Create a backyard adventure by adding the trampoline tent accessory! We love it... it's is safe and soft! 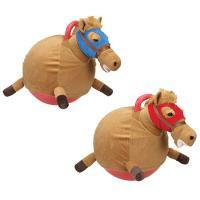 The kids jump on it for hours! I have a 5 and a 3 year old. 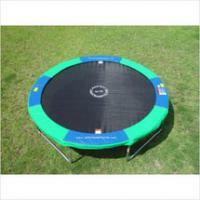 We love this trampoline and it works great! 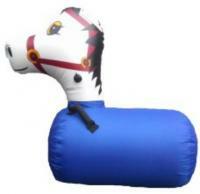 It has become out children favorite outside activity.